What are the benefits of training with a balance board? What can be better than a perfect set of equipment for your everyday workouts? 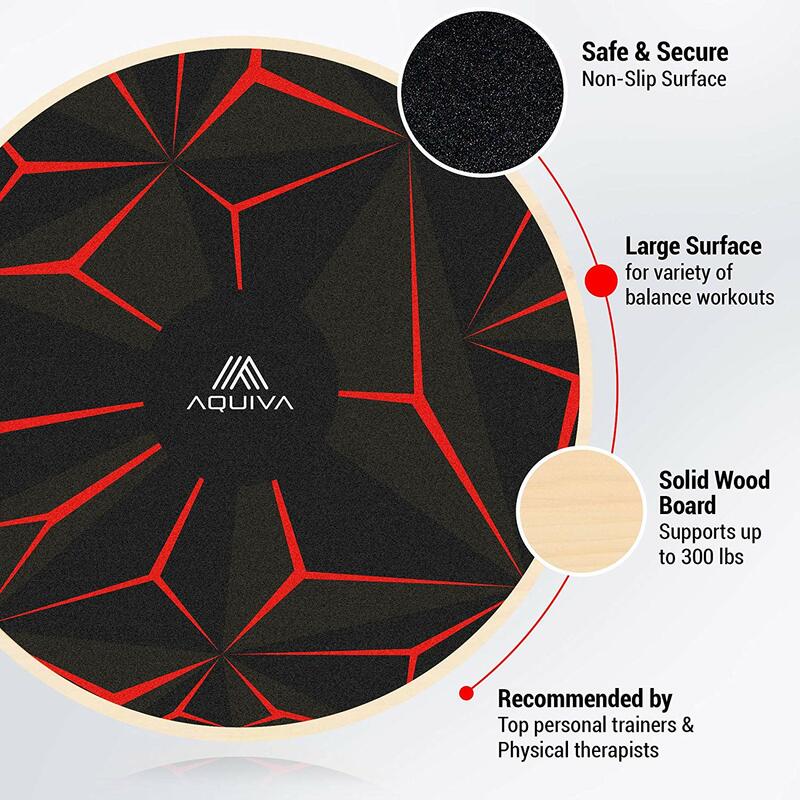 Here we talk about a unique set: AQUIVA Wooden Wobble Balance Board 15.5″ + Air Cushion for Kids and Beginners + Resistance Loop Bands. First of all, the balance board is good for improving the posture, maintaining muscle tonus and overall well-being. 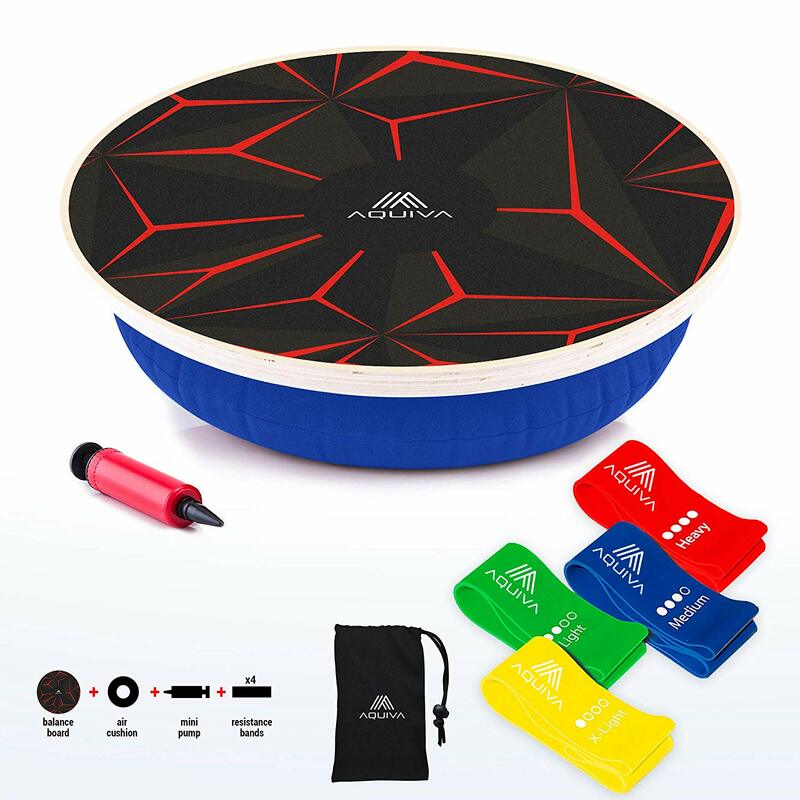 The air cushion is a bonus for people with different levels of training. Resistance bands will help to pump up muscles where needed, boost endurance and flexibility, a range of motion. It is a widespread trend in modern times. 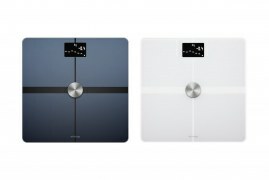 Nowadays, they are all around and every workout program contains this amazing fitness equipment. Our fitness experts prepared the overview of high-quality equipment set available on Amazon. Check the details! This fitness equipment is suitable for both beginners and advanced users. In case you are a beginner or after an injury or operation, it is very important to properly restore the affected area through muscle and ligament strengthening. If you’re leveling, just remove the Air Cushion. Besides, you can always increase your training intensity adding the Resistance Loop Bands to your workout. This set is recommended by a physical therapist. 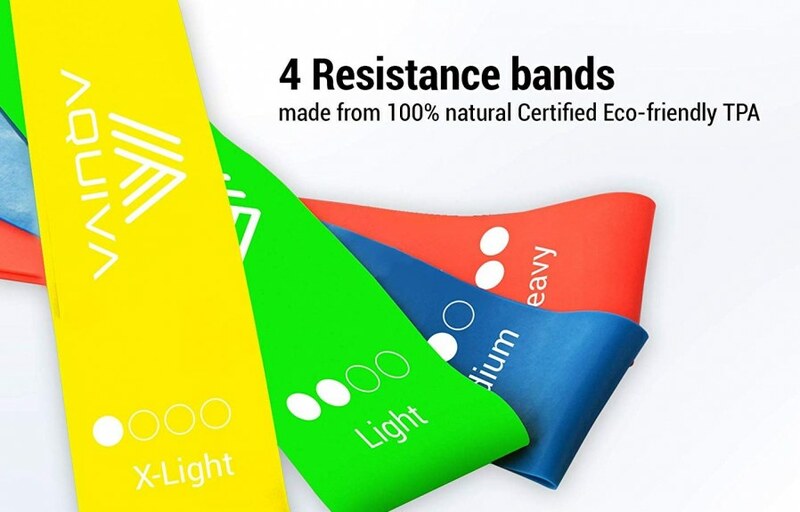 Actually, fitness resistance bands have been used in training for a long time. But in recent years this sports equipment has experienced a real boom in popularity. What is the reason for its demand? The answer you will find in its benefits for the body. 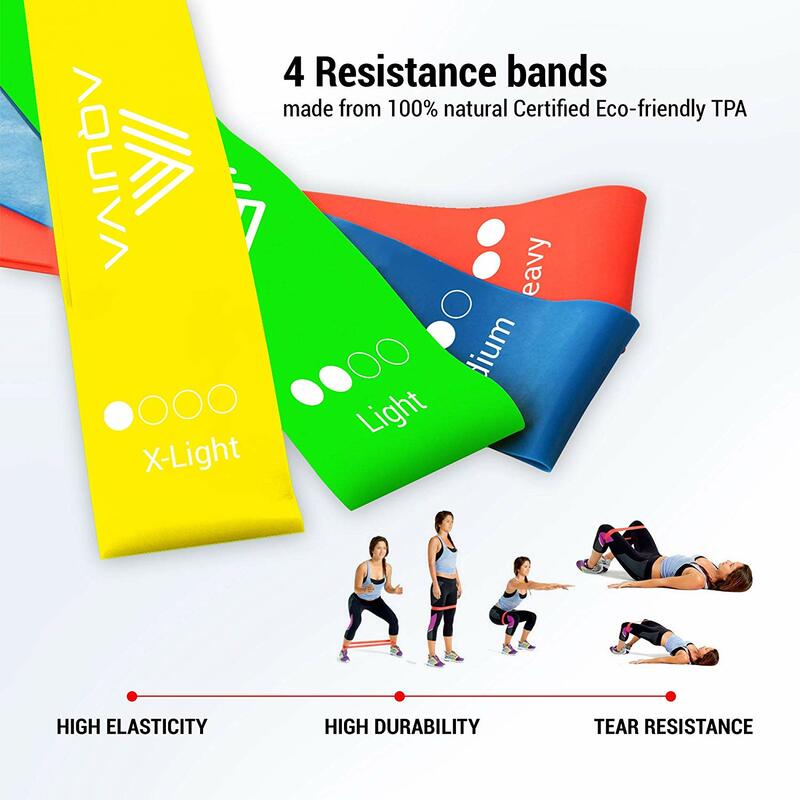 Resistance bands are a perfect tool for improving muscle tone, improving problem areas, building a toned and flexible body. Exercises with fitness bands help to work efficiently on the thighs, buttocks, arms, shoulders, chest, abdomen and back muscles. It is very compact and lightweight equipment. You can take it with you on a trip, to the gym or while walking the street. It can be easily put in your bag and does not take up much space. The advantage of all expanders is an equal load along the entire area of stretching without “dead zones”. In addition, you can easily control the load yourself by simply adjusting the level of stretching: stronger or weaker. 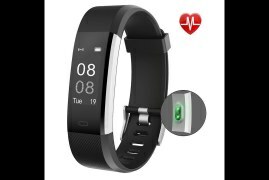 Fitness bands are excellent for low impact training without loads on the joints and connective tissue. For example, with such an expander, you can work very well on hips and buttocks even without squats. They are usually not recommended for knee problems. Workout with elastic bands is suitable for those who are contraindicated with additional weight due to the load on the spine. Fitness bands have several levels of resistance, so you can adjust the load according to your capabilities. You can also put on two bands at the same time and increase the load on the target muscles. You can exercise the expander-ring almost any classic exercises, while due to the resistance of band, the load will increase significantly. Put on the expander while doing squats and get an extra load on the gluteal muscles. Resistance bands are becoming increasingly popular in home fitness programs. For example, in the new training complex 80 Day Obsession, Autumn Calabrese actively uses them in exercises for the whole body. Fitness bands are very effective for working on the gluteal muscles. And you will tone up and round the buttocks, not shaking the quadriceps. This is affordable fitness equipment, a whole set of ribbons of several levels of resistance can be bought at a reasonable price. Each training with a balance board is a work requiring various skills. The brain examines this situation and sends a signal to the body muscles instantly. Working out the same movements, it becomes easier for us to carry them out each time. The most essential thing in these workouts is to be able to keep balance and to have confident coordination. And also a new direction is created – balancing. Performing stunts and various jumps on the board with a roller. It also has a small size and weight, due to which it is easy to take with you on trips and travels. Impact on the cerebellum, which is responsible for the vestibular apparatus. He teaches to keep balance and control your body. Also, the balance board will be a great time spending for the child. Average physical activity has a positive effect on the child, straightens the spine, coordination, strengthens the muscles of the back and bark. Impact on the vestibular apparatus helps to deal with various defects of speech, attention deficit disorder, improves the ability to read, memory and perception of mathematics and other natural sciences. Board with a roller can be an exciting game with friends. For example, who will hold the balance longer and will not fall. Or you can perform various tricks on the dispute.